When it comes to renting out an investment property at the right price, many landlords can be at a loss as to where they should begin. Some believe that their property is quite simply the “bees knees” so it must be worth far more than what it perhaps is. Then there are those investors who over-commit to a large mortgage and expect their tenants to foot the bill for the monthly repayments, regardless of whether the rental amount is reasonable or not. On the flipside, there are property investors who feel it would be an injustice to charge too much and believe that by asking for less than the going market rate for their property they will find better tenants who are more obliging when it comes to making payments on time. In reality, none of these methods are plausible when setting the correct price for your rental property. Today’s rental market is so different to what any of us are used to, it is no wonder that many landlords are at a loss as to what a fair rent for both themselves and their prospective tenants would be. We’ve all heard the stories about tenants clamouring to literally “get their foot in the door” of a vacant property by any means necessary these days. Unfortunately there are landlords and property managers out there ready to take advantage of the current stock shortage who are engaging applicants in “bidding wars”. I would strongly advise landlords to avoid the temptation of altering the advertised rental on their investment once this has been set and circulated in the market. Essentially, it is crucial to get the going rate for your rental right from the outset, before you even contemplate marketing and showing your property to any prospective tenants. So how do you know what “price is right”? 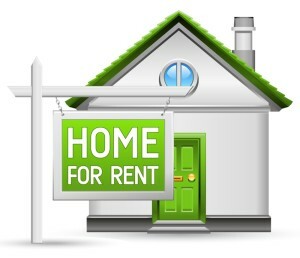 Quite simply, rents are determined in very much the same manner as asking prices for properties up for sale. Just as a good real estate agent provides a potential vendor with a list of comparable sales in their neighbourhood, so too should a property manager advise their landlords as to how much similar stock to theirs is letting for in the surrounding area. It is the property manager’s role to conduct extensive research on behalf of the landlord to ascertain what has already been leased in the area of a similar size and style and for exactly how much. There are dual benefits to having your property manager carry out this “grunt-work”, for want of a better term. 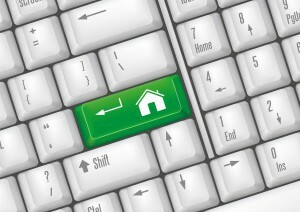 Firstly, only licensed estate agents have access to information regarding properties that have already been “leased”. And secondly, your property manager will have an intimate knowledge of the suburbs they work in. In other words – you need to scope out the current competition! Anyone can do this type of research, as long as they have access to local papers, agent’s “To let” lists and/or the internet. In fact, with most agents advertising on-line these days and incorporating extensive images of available properties, you can almost undertake this part of your research without leaving the comfort of your home office! Whilst scouring the “classies” and internet will provide a valuable insight into the type and rental value of properties your investment will have to compete with, it does not necessarily provide an accurate market rate for your own rental. Rather, it is more important that you set your rent based on those very revealing comparable rental prices in the local area. 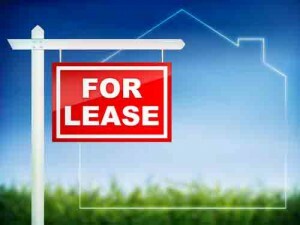 This is because advertised rents may change during the process of letting vacant premises. They might go up or they might go down, depending on the level of demand and tenant interest in that specific neighbourhood. Of course when we talk about comparable properties, we have to know what we are comparing with what. 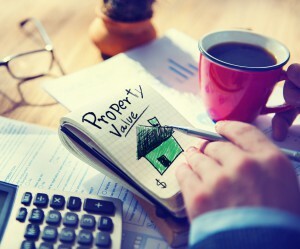 We cannot compare apples with oranges, so it is important to be objective about your property when setting the rent. You may think you have an apple, but do you really have a lemon? In other words, the condition of the premises will play a large role in calculating what it might be worth to a prospective tenant. As the old saying goes, “first impressions count”. If your property is looking tired and run down and essentially lacking curb appeal, you may struggle to get any enquiries at all, let alone a decent rental amount for it. If people don’t like what they see from the car window, they will more than likely drive on to the next property on their list. That applies to apartment blocks as well. Although the external appearance of apartments may not be completely in your control, as a landlord and owner of one unit or apartment in the complex you might like to keep an eye on how well the body corporate is maintaining and managing your investment. The more attractive it looks, the more rent you will gain. Basically tenants want the same thing as owner occupiers. They are being hit harder at the hip pocket than ever before when it comes to renting a home and they expect reasonable value for money. If you want to ask a top shelf price for your property, you have to realistically consider whether your investment falls under the top shelf category. Most prospective tenants will have certain boxes that must be ticked in order for them to pay top dollar for a rental property. A clean, tidy and well maintained property – not only does it look good, it also tells them that the landlord is willing to spend money on their investment and will attend to any maintenance issues as required. re facilities are highly valued and sought after. A place for everything and everything in its place – storage and cupboard space is a big priority for people today. We all seem to have more and more “stuff” cluttering up our lives and tenants, just like property owners, need somewhere to put it all! The little “luxuries” –these days home buyers think of things such as dishwashers, air conditioners and heaters as “must haves” rather than luxuries and tenants are no different. Often these appliances are on the top of their “must have” list and will definitely mean a higher level of rent is achieved. Not so cheap and cheerful – a newly renovated home, even if it has simply had a lick of paint and some new floor coverings laid, will always appeal to prospective tenants. In the same instance, a fresh, airy and light filled space is more inviting and people are willing to pay that little bit extra to feel comfortable. If your property has all of these attributes, it will appeal to a broader range of tenants and therefore should sit in a higher rental bracket than a similar style property that perhaps lacks the same “wow” factor. Another consideration is suburb “reputation”. If you have two comparable properties, with one located in an area that has a lower socio economic population and one in a trendy, affluent neighbourhood, you will always be able to demand a higher rent for the latter. Position is everything and can mean a considerably higher or lower rent for the exact same style of house, unit or apartment. Potentially it can mean a disparity of hundreds of dollars! If you have your eye on a property that you are considering for a rental investment, you are far better off conducting some of your own research on internet sites such as realestate.com.au and/or speaking with local property managers. Whilst selling agents have a great knowledge of sales prices and property values in their local area, they don’t work with rental properties on a daily basis and therefore will not necessarily be able to provide an accurate potential rental figure. 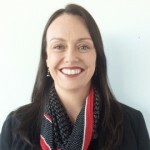 That is why sales agents specialise in sales and property managers specialise in leasings – they are two very distinct markets. 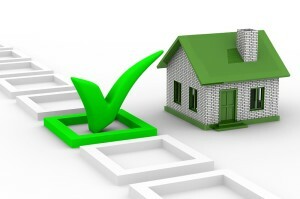 Ultimately, rental properties, like any other investment, are all about the bottom line. There is no point undervaluing your most important asset and at the same time, if you aim too high, your property could sit empty indefinitely. 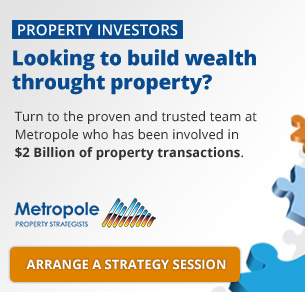 Both of these outcomes should be avoided at all costs in order to keep your property portfolio alive and kicking. Do your research, ask the experts and be realistic. That way, you are sure to know that the price is right!